I am a fan of the products produced by Charissa’s Cauldron. The crystal essences I have worked with have been highly effective in helping me deal with health issues. The few flower essences have been just as wonderful. For me there really is something magical in these brews. Today I am going to talk about the Inspiration blend by Charissa’s Cauldron. This blend is a great blend to work with. I started to work with it when I was in a funk. I couldn’t think of any new products or even different sets I could develop for the shop. I was having difficulty thinking of blog posts. Nothing was happening creatively for me. Then I remembered that I had a bottle of this blend. Once I applied some to my wrists and a few drops to my water I knew that it was what I needed. I was able to come up with a long list of blog topics, product concepts, and much more. This stuff if highly effective. I still have only listed half of the kits and sets I came up with while using this blend and I’ve only touched on one or two of the blog topics I came up with. If you are in college and working on a paper but can’t seem to get any where this product will help you out. Its an amazing product. Its great for creative people. Its great for those who simply need a little help to get going when it comes to art and creativity. I’m nearly out of my bottle and will need to get some more. This product is going to be involved in future products that I make. I even have a few ideas on how I could use it. No hints for you yet, suffice to say that there will be new products over the coming year and one or more of them may have this essence in them. On a 5 start rating system 5/5. very powerful and very potent. A little goes a long ways. What Witches Do is an awesome introduction to the world of British Traditional Wicca. The author wrote this book during his time as a first degree initiate till he earned his second and third degrees and became a High Priest of the tradition. In many ways this book reflects part of the authors training as he explored the religion of Wicca from the inside out. For those more familiar with Wicca as styled by Scott Cunningham, Edain McCoy or even Raymond Buckland this book takes some serious adjustments. Most people forget that Wicca when it was founded by Gerald Gardner and then the Alexandrian Tradition founded by Alex and Maxine Sanders was a coven based religion and continues to be so today. This book is a perfect text for those who are interested in Traditional Wicca but are not quite ready to contact a coven. This text was my introduction to Traditional Wicca several years ago and remains to be one of my go to books when I need a refresher on Traditional Wicca. There are several practices that are discussed in many books on Wicca that I feel this book covers the areas that are “missing”. If you are interested in Traditional Wicca this book is perfect for you. If you are looking to learn more about the early forms of Wicca prior to the solitary traditions this book will cover that. If you are interested in what religious witchcraft looks like this book is for you. If you are looking for instant initiation, solitary rituals and spells this is not your book. There are some spells and rituals in the book. In this book they provide context to how Wiccan coven rituals may run and what sabbat rituals could entail. None of the rituals or spells within this book can really be performed solitary. It comes from a coven based tradition so it will have a different feel than other books. Today I am going to talk about a psychic reading I had done back in August. I did a trade of several products and goodies with Luna Sea Dragon for her complete or full reading set. This reading included runes, dice, 3 pendulum questions, and a 12 card spread. It was a very in depth and intense reading. This was a reading done via distance/internet. So I can not say about an in person reading. I can only talk about my experiences with her distance readings. I’m glad I opted for the full or complete reading as the reading covered so many options and so many different styles of having a reading done. Most of the readings I have done these days relates to my succsess as a business owner. Sometimes I am not sure where I would like to go in product development. I have so many ideas and only s0 much time I can devote to development of products and studying the herbal crafts. This reading was also focused on my business succsess. The dice reading was first. Out of the three dice I had one blank one, once dice come up with the symbols of joy and comfort and the other came up with jealousy. For me I can say exactly where the joy and comfort is and where the jealousy comes from. I’ve started to know myself fairly well. When it comes to the jealousy I can say that from time to time I am envious of my friends who have been raised in their path or practices and taught herbal remedies and herbal magic from childhood by their elders. Talking to them about some of the practices I do and the things I have learned over the year I almost feel inadequate with my knowledge which all comes from self study and books. Yes books. I learned to make Magical Tinctures via my distance studies in the Temple Tradition and most of my magical experiences have been through self guided teachings. I just feel I missed out on something not being raised with magical spirituality. The Joy and comfort is sort of easy to understand. Thanks to my day job (I work at a local CVS) I have money that I can use to pay for things as I want and need them. I am able to help buy items for my business. I have a nice home and I have everything I need. I get to practice my magical arts in safety and without worry. When I am not working I am free and supported by my fiance’ to develop my passions (magical and spiritual arts). So my business is fulfilling for me. If I am feeling depressed working with my herbs can help with that. My work with herbs and spiritual herbal ism is an essential part of who I am. Its one of my coping mechanisms and it is something that I am very passionate about. So I get joy and comfort out of the simple pleasure or working with plants and their spirits. The Rune reading was next. The three runes pulled were Ohuz, Juno, and Icana. Ohuz was about having urges and desires. That I should follow my intuition and not worry about negativity. Juno was reversed which means there was going to be a change in love or friendship. Icana was about new ideas and stepping carefully. The Rune reading was really the only part of the reading that didn’t really make any sense. I get the following my intuition. Its a lesson that has been hard for me to learn, but it keeps coming up. I do my best to listen to it. Most of my herbal products are made through an intuitive process (research blends and make a list of commonly used herbs then I let my intuition and the herb spirits guide me). So That one is a work in progress. The part about a change in love and friendship I am not so sure about. The only thing I can think of is hopefully some day soon I will go from being engaged to actually married. The last rune that deals with new ideas and stepping carefully I do understand and am going to be taking that advice as I know which new product lines it refers to. Pendulum readings are simple yes or no questions. In this section of the reading I asked three questions. I asked if I was going in the right direction with my business and the answer was No. I asked if I should add more aromatherapy type products and the answer was No. Finally I asked about a project I have been working on and if that would be a benefit for my business and the answer was Yes. So from here I wasn’t exactly sure what to think. So far I can say that the cards for September-January have been fairly accurate. I’m not going to go into much detail about the card reading as without the exact deck its not really going to make much sense. I will state that the reader was very much able to build a cohesive year message for me. One theme that came up she wasn’t able to place was another thought with love and friendship. Again the only thing I could say about that was maybe we are finally going to get married. I honestly don’t know. My conclusion is that Luna Sea is a skilled reader. While she might not be able to place or explain something that comes up in a reading it will probably make sense to the person getting the reading done. She connects the dots between the types of readings and will do her best to answer any questions you have about the reading as they come up. If she wasn’t so far away I’d go to an event and see her in person. In order to serve the community better Mystic Echoes has added a discussion board and forum to the website. The moderators of the forum are not members of the Mystic Echoes staff. They are simply people who have given their time voluntarily to help make our community a wonderful place for everyone. The group Samhain Sirens is hosting a bunch of give aways all month long! 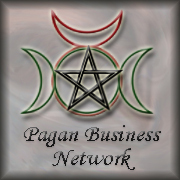 The first give away is from the Pagan Business Network! And you enter to win all of these items! There are some incense and tinctures from us available in this give away! Right now I am having a sale with select items being 50% off. Available in the sales section of the Etsy shop! I have been working very hard to keep a steady set of new products coming into the store every few months. The last two weekends have been event weekends. Where I have been busy selling products and making new contacts, They have been busy weekends but they have also been very enlightening in ideas and types of products that we would like to offer to you here soon. One product that is in the works are homemade scrying mirrors. These are going to come in two sizes and have a frame for them. They will also be blessed and washed in our psychic development wash as well as dressed in psychic oils and tinctures prior to being sent out. This way you will only have to speak to your own guides and guardians to bless the mirrors on your behalf. By this holiday season it is my goal to have a small line of candles for aromatherapy work and for spell or ritual work available. I have all the supplies I need to make them. I just need to sit down, read the directions and get to work. The scents most likely will be based on either incenses, tinctures, or oils that I already have made. This way I am reusing the herbs and the oils while charging the candles for their specific job. 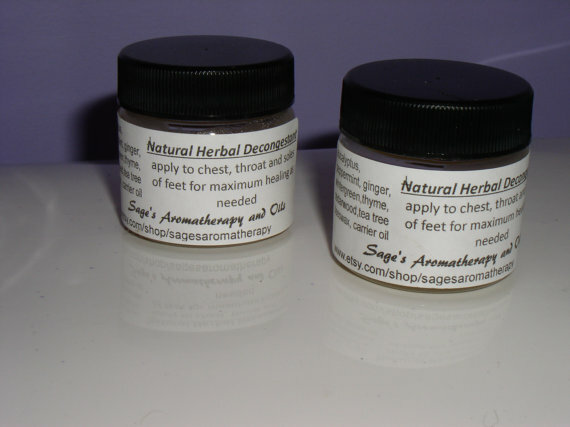 We are also going to be looking into making salves and ointments in the near future. These are all products that have been discussed and planned but have been working towards. The candles and the salves require the learning of a new skill. Which is why it has taken us this long to get them made. Over time as well as creating more ritual and magical tools it is our hope to add in natural and holistic health remedies as well. You can look forward to more unique leather work in the future. One thing that was common both last weekend at Templefest and Yesterday at Maine Pagan Unity day was that people were interested in the leather work and want to see more of it. This is good news as we have been wanting to add more leather work to the shop but there has not been much interest until today. There are still several baths to be added to the Etsy shop and herbs and oils as well. I should have most of those up by the end of the day tomorrow. I think you will all be pleasantly surprised at the new products being offered. 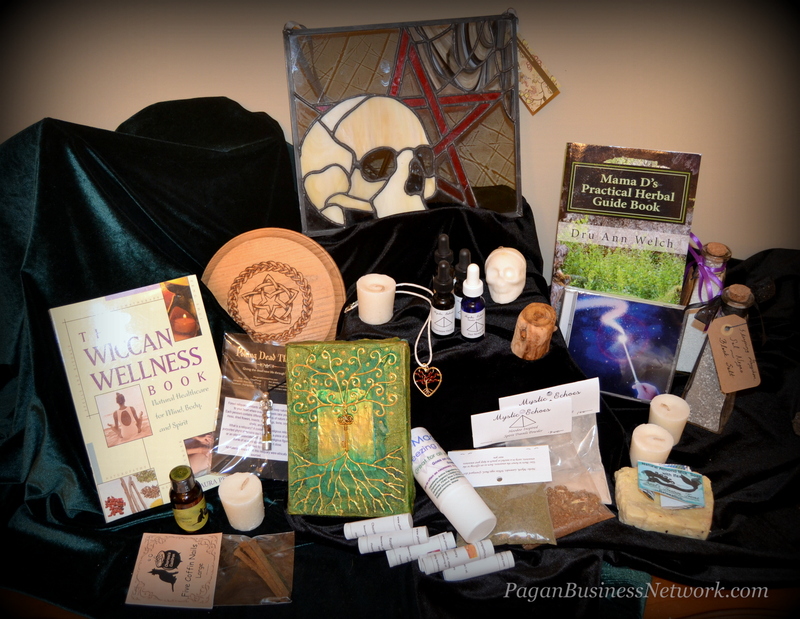 I even have some spells and rituals in mind to write for you as ways to work with them. Last but not least we are getting ready to start providing online readings at a distance. There are many different oracle decks that are used by me. I will have different readings available for you for each of them. Its been a while coming but the spirits are really telling me that it is time. So keep your eyes peeled at the Etsy shop. New things are on the horizon! Many years ago I would have frequent dreams of myself as characters in different stories that I read or watched. Most commonly was the anime Sailor Moon. In these dreams my character was both a child of the heroic lines (the Moon Kingdom) as well as a child of the enemy who was personified best in the second season of the show as “wise man or the death phantom”. My character was there to balance the forces of darkness and light. Yet it seemed her job was always to be in the shadow. In many dreams this character would deal with several deaths. Most of the time it was in order to purge the darkness from her so she could be a true warrior of the light. In the end though her darkness was never purged. It was however transformed from a source of pain to a source of power. The deaths ended up being symbolic of he transition from the enemy to the light. The character in these dreams ended up using the pains of loneliness and separation from her original family to in turn protect them when she returned. For years I had friends comment that they thought it was weird in all my dreams my fan charterers were the child of both the villain and the heroes. At the time I thought nothing of it. Villains are cool and so are Heroes. I just figured it was me trying to find a place in the universe. Going back to the Sailor Moon universe the best character analogy I can think of is Chibi-Usa who becomes Black Lady and then becomes Chibi Moon. She goes from being a child of the light to the enemy and back to being the light. In essence this is what happened to my characters. All of them. When I was 16 they dreams started to change a bit. I had become more comfortable as a witch and I started to understand the need for the balance of the light and the dark. Here I became a celestial whose name changed depending on if she was in her full demonic form or a full angelic form. Many of the battles in those dreams ended up being about the battle we have with our own shadow self. The third name for this particular character was the one she received when she completed the battle for control over both the demon and the angelic half. She became a true celestial who embraced her shadow and her light. Her new name showed this being a combination of the demonic name and the angelic name. 15 years later it finally hit me. One of the most important things to learn as a witch and if you practice shamanic spirit work is to love your shadow self and make it part of who you are. These dreams were spirit trying to help me find the balance between my light and my shadow. Trying to become the true person that I am. These dreams were me exploring shadow work in a way that I could understand and deal with. They were not merely fantasy. They were me starting the work of embracing my shadow so I could become a whole person. During the teen years I was dealing with a lot of issues from my past. The sexual abuse made it hard for me to relate to many of the jokes my friends would tell and I had problems with relationships. They could touch me and enjoy me but I couldn’t do anything for them sexually. I was alone and I had alot of anger and frustration build up over the years. The celestial character became part of my shield. I was and still am socially awkward. During college I tried to be more open and tried to be more social. The social awkwardness remained. I was more open about things that I should have been. This caused more pain and more problems. I didn’t know how to deal with people or the public. This caused an eventual break down which ended up with me in the hospital and on some very strong medications for mental illness. My ability to remember my dreams vanished. My ability to get into trances and talk to spirits was greatly diminished. I went into the hospital hoping that it would help me. While it did I ended up in the years after being dependent on my medications rather than my spirituality for healing. I stopped talking to the spirit friends I could see and I stopped seeing them. I could no longer readily see the Gods and spirits I was working with without a lot of extra work. Lately after watching the new Sailor Moon series I began to feel that there was something missing. It became even more clear when Black Lady made her presence known. What was missing was and is that connection I had with my shadow self then. I was comfortable in the shadows and in the dark. Now I seek to reunite with that part of me. The other day I started to pray to the Gods of dreams and the underworld to reconnect me with that aspect of myself. The last few days I have been able to remember my dreams again. I can look into the mirror now and I have started to see the shadow self I tried to bury with conventional meds and therapy. This is my second day off my medications and I feel good with this decision. Its time to get back to what worked for my mental health and my spirituality. Time to use meditation, trance work, and work with my herbal spirit guides. I’ve learned some skills in therapy which will help me deal with more day to day social issues and interactions. There has been some useful things learned in therapy and on the meds. I believe that medication and therapy can help. I just believe that its not the only answer and that there are other methods as well. The last few years I have been ignoring the spirit methods that did me so well. I’ve been treating the physical chemical aspects of my mental health but not the spiritual. I am a witch. I live equally in the darkness and in the light. I live in the physical world and in the spirit world. Its time to reclaim that part of my spirit again. Time to start traveling into the spirit realms again and using my shamanic tools. I can sense spirits again and I can feel energy. I just no longer see auras as easily as I could and now I must return to that state. I know that I am an adult now and that things are going to be different. That doesn’t mean I can’t try and bring some of what I was back into my life. I just need to remember to call on the Gods and spirits again. I can turn my anger and frustrations into power to change my life. I can use that shadow self. I just need to bring her back to the surface to hug her and bring her into my daily life again. Shadow work is never a one and done thing. It is on going. But if I can make myself comfortable with my fiery temper and befriend my anger again it will be a start. The journey of a witch is never done and we are always learning. Sometimes we just need to remember lessons we learned years ago.